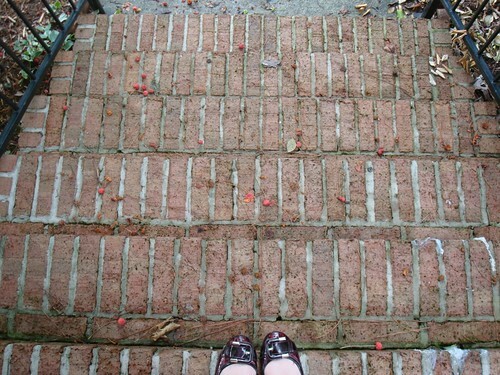 Our front steps. My toes. I love the quality of light in this photo and the colors. Despite all the appearance of fall, it's still summer here, though today was cooler than it has been recently. Although the hubby pressure washed the steps not too long ago they still have the worn character that shows the house, while new to us, is not new. The history fascinates me.